We install pre-painted seamless aluminium ogee profile guttering and rectangular downpipes. We come to site with our machine and roll out the exact length of gutter and install it. The material has a 15 year quarantee for chipping peeling and rusting. With 22 years of experience, we have proven that we are here to stay and that you can count on Mr Gutter for all of your gutter requirements. 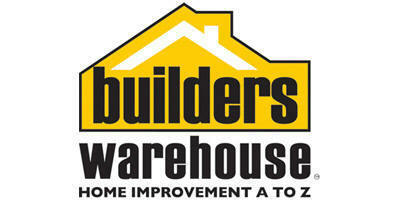 Whether it be replacement, new construction, residential or commercial, �Customer Satisfaction is our #1 Priority�! If you didn’t have gutters, water would continually run alongside your home causing damage. Discussing your home’s roofing and guttering needs with your roofing contractor is the best way to ensure that you choose the materials best for your situation. Copper is without doubt beautiful, granted, anyone fitting copper gutters will increase the value of their property. Copper gutters are durable, resistant to rust and rot, require little maintenance and are long lasting. Over time though your gutters will turn green which may be attractive on a centuries old building, but won’t be quite so lovely on a suburban new build. Steel or galvanised gutters on the other hand are the most durable but they do have a limited life span as they are prone to the weather. Their advantages though are that they won’t warp in extreme temperatures, are highly resistant to damage such as denting and tearing which makes them a great choice for our storm prone areas. They have a tensile strength of around 50,000 psi (aluminium’s psi is around 22,000) and are available in a variety of colours. Steel gutters are however not recommended for DIY enthusiasts. Let’s start with Sectional gutters. Sectional gutters are sold in pre-cut pieces in a range of lengths. This type of gutter is most usually constructed from either vinyl or aluminium and each section or joint is joined to each other by means of special connectors and sealants. However, the process actually lends itself to the threat of potential leaks as the joins can be aggravated by weather conditions. People consider this type of gutter as rather unsightly though and their known flaws and limitations may affect the value of a property. In fact, many professional fitters no longer use these types’ gutters, but the fact is that they remain the popular choice for DIY fitters because of the fact that they can easily be “bought off the shelf” and transported home. 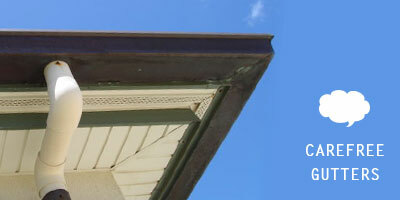 On the upside, seamless gutters don’t have any leaky seams along their length, which is their biggest advantage. Fibreglass. Glass Reinforced Plastic is a composite material made out of plastic that has been intertwined and reinforced with very thin glass fibres. It is so versatile, strong and lightweight as well as weather resistant that is actually makes a very good choice for gutters. They certainly won’t last as long as copper, steel or aluminium but they are highly inexpensive and easy to maintain and even replace. There are those who will tell you that fibreglass gutters aren’t attractive, but with today’s wide range of colour choices available, this needn’t be the case.